Question: How do I choose the best feng shui shape, design, and colors for my front entry rug? Answer: The main entry is very important in feng shui because it is through the main entry that the house absorbs Chi, or universal energy, for its own nourishment. The better quality Chi your house absorbs, the better quality energy is there to support you and your family. From choosing best feng shui colors for your front door to the right positioning of a fountain; from dealing with the feng shui of a staircase facing the main door to choosing the best shape and design of the main entry rug - every detail is important in feng shui. So, how do you make the best feng shui choice for your font entry rug? Which colors, designs, and shapes will help you attract the best quality of energy? Let's look at 3 main feng shui design aspects. 1. Shape. In any feng shui home or office application, always be first guided by your feelings, as well as the basic interior design principles. What shape would work best in your space? To answer this question first consider any shapes that will be visually most pleasing for your space. Second, find out the feng shui direction your front door faces and go for the shape that is most suitable for the feng shui element of that direction. For example, feng shui-wise, if your front door is facing East, then rectangular (Wood feng shui element) or square (Earth feng shui element) shapes are recommended. Round shape, being a Metal feng shui element shape, is best to avoid for an East facing front door rug design. 2. Colors. The choice of best colors for your main entry rug is also based on the energy of the feng shui elements. In our example with the East facing front door, we have the colors of 3 feng shui elements to choose from: Earth, Wood, and Water elements. The colors to avoid would be the colors of Metal and Fire elements; it is helpful to know the ​feng shui element cycles in order to make smart feng shui design choices. Ideally, you will not place a predominantly white, gray or red color rug in an East area main entry. Why? Because these colors express the feng shui elements that can weaken the energy in this area. 3. Design. An obvious detail to look at when choosing any floor rug (versus a wall-mounted rug, for example) is to take into consideration the fact that you will be stepping on it every day. Be mindful about the feng shui design mistake that is so often seen in small businesses: the owner will have the business name on the floor mat and then wonder why his or her business attracts low-quality energy? Well, how can it attract good quality energy when everyone is literally stepping over you/your business name every day? So, go for a design that is appropriate to step on, so to speak. For example, it is best not to order a design with angels and birds because stepping over angels and birds is not a good idea. Focus on the most appropriate design according to the shapes that express the needed feng shui elements. If you go for an image, choose an image that feels logical to step on, like sand, for example, or a garden pathway. If it is an abstract representation, then be guided by feng shui element colors and shapes, as well as your own feelings about it. 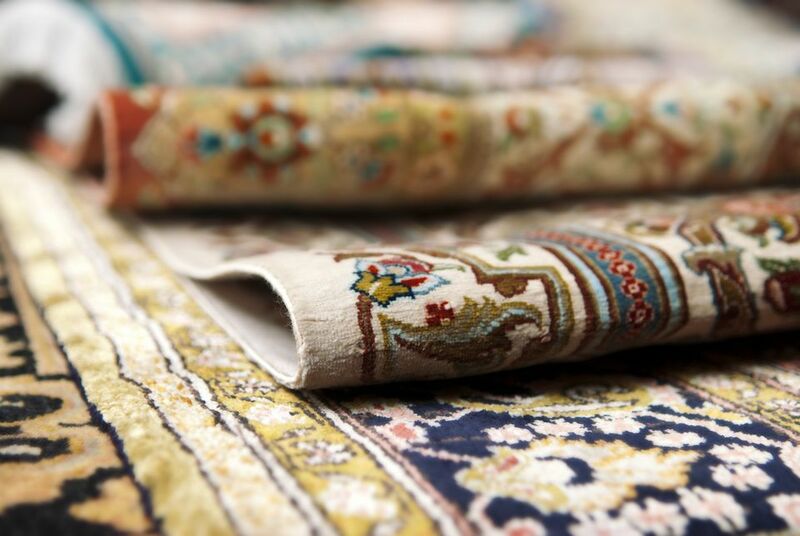 In most feng shui cases it is best to have rugs with stable, grounding and supporting energy so as to create good energy for one's home foundation.